On Mach 25, 2019, NASA said Expedition 59 Flight Engineers Anne McClain and Nick Hague will switch spacewalking assignments. McClain had been assigned to venture outside the ISS on March 29 for U.S. EVA-53 with Christina Koch while Hague was planned to exit the outpost with Canadian Space Agency astronaut David Saint-Jacques for U.S. EVA-54 on April 8. 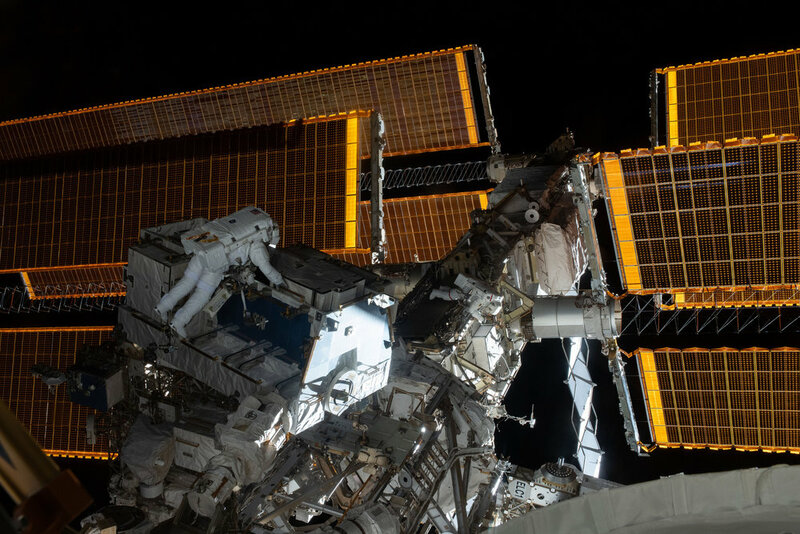 Hague will now join Koch to perform the March 29 spacewalk, which is the second of two planned to replace batteries on the space station’s P4 truss segment. McClain and Saint-Jacques are now planned for an April 8 spacewalk, which includes several space station maintenance tasks. However, NASA said assignments for that spacewalk will be finalized after the March 29 outing. It is important to note that this announcement doesn’t mean there isn’t a properly-sized suit for McClain to use in orbit. As Loren Grush of The Verge points out in her story on the topic, rather than configuring another suit with a medium-sized hard upper torso before the March 29 spacewalk, which would require adding arms and legs to the torso and is a “fairly labor intensive process,” it was decided Hague and Koch would wear the suits already prepared. There is expected to be plenty of time to configure a suit with a medium-size hard upper torso for the April 8 spacewalk, which is about two weeks away. However, this change means the first all-female spacewalk will not occur on March 29. McClain is only the 13th woman to perform a spacewalk (Koch is expected to be the 14th) since Russian cosmonaut Svetlana Savitskaya became the first in 1984. The first female NASA spacewalker was Kathryn Sullivan, also in 1984. The first spacewalk ever performed was by Russian cosmonaut Alexei Leonov in 1965. Since then, more than 200 men have performed spacewalks over more than 400 outings. U.S. EVA-53 on March 29 is planned to be the 215th performed at the ISS since 1998. 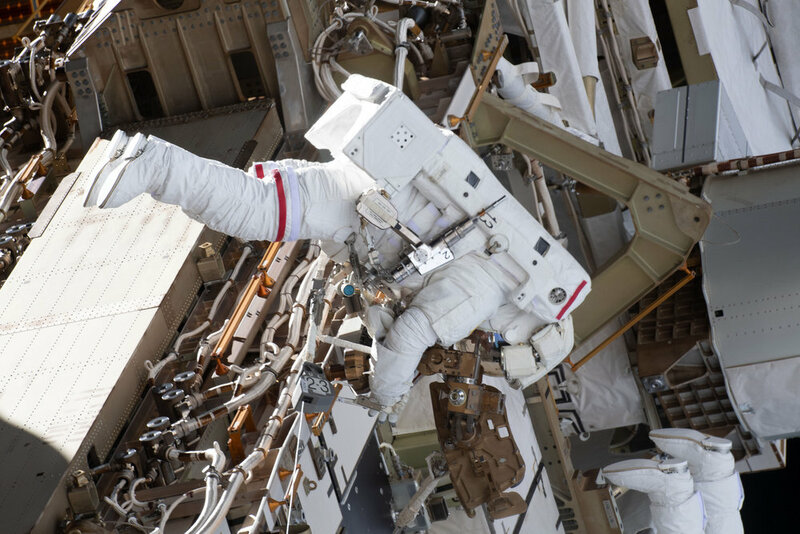 For U.S.-based ISS spacewalks, the spacesuits used are called Extravehicular Mobility Units. They were designed and built decades ago for the Space Shuttle program. Only 11 are currently in use and four are at the ISS. These are periodically swapped via cargo ships to allow for refurbishment and repair.